Many people visit the world famous Murray’s cheese counter to taste something they’ve never tasted before, or to pick up something undiscovered by most. Here are a few of our favorite selections that are often overlooked. 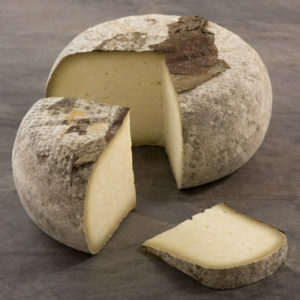 Salva Cremasco – This Italian cow may be the absolute best value in our cheese case. As a cheese lover (and starving student) it’s hard for me to contain my giddy-ness over a supremely and lacticly delicious cheese that doesn’t obliterate my food budget for the week! The rainbow hued rind gives this cube a funkiness that belies its smooth, mild interior. Cashel Blue – Time and again, we all look to the classic French blues when perusing the blue-molded section of Murray’s cheeses. I’m guilty of it as well, but when I fondly recall a short-lived and glorious semester spent abroad in Galway, Ireland, I reach for the oft-forgotten Cashel Blue. Excellent with a juicy pear or ripe red apple, the creamy and pleasantly mild blue sings with cucumber slices on dark toast, paired with a roasty Guinness, or an Irish whiskey. 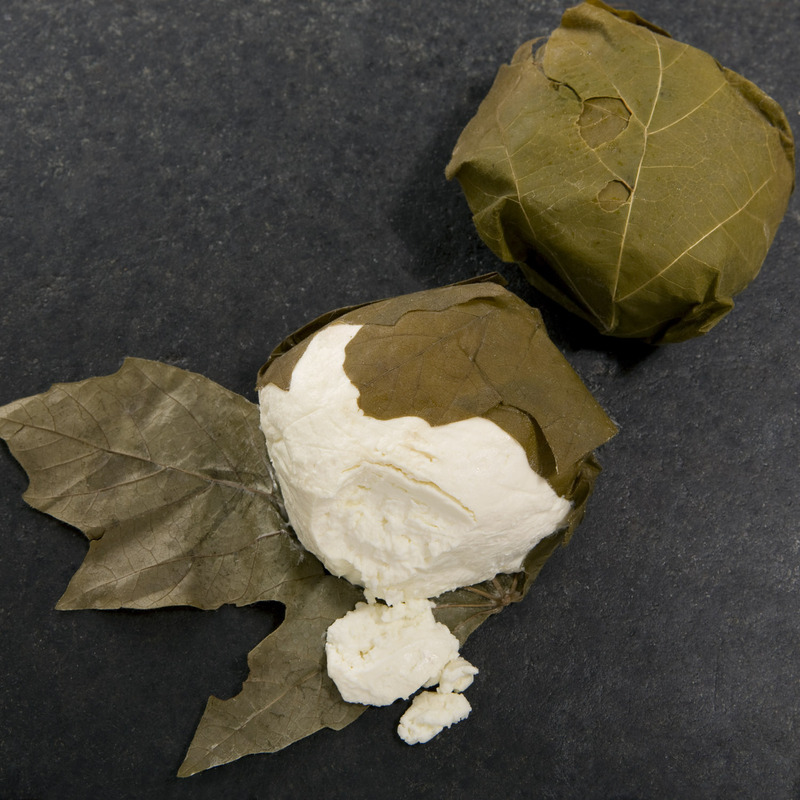 Pecorino Foglie de Noce– A rustic cheese from the capital of food in Italy, Emilia-Romagna, these small wheels are covered in walnut leaves and aged in barrels, imparting milky, nutty flavors. Sheep’s milk cheeses frequently leave you wanting in flavor, but not so with this crumbly wheel, at home both on a cheese board or grated over your pasta instead of the ubiquitous Parmigiano Reggiano or pecorino romano. Pata Cabra – Mild-mannered and semi-firm, this Spanish goat’s milk cheese will surprise you every time. Aged in Murray’s caves, each log is unique with varied levels of tang and pungency, but always anchored by the bright white interior and citrus essence characteristic of goat’s milk cheese. Especially for those who shy away from the more intense washed rinds (think Alsatian Munster), this totally snackable and always underrated selection challenges the palate in the most delightful of ways. 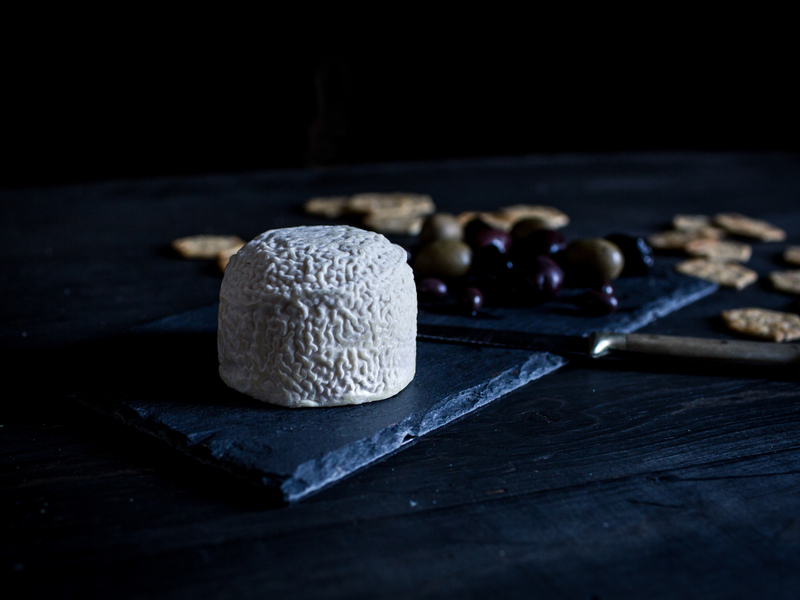 Chevre Noir – A goat cheddar, you ask incredulously? Never. Oh yes, a goat cheddar from Quebec, this bright white block all dressed up in black defies expectations. Grassy and fruity, use it as you would any cheddar for an elevated and creamy experience that even the most ardent of vegetarians can love (the fromagerie up in Canada uses microbial rennet!). Gorgonzola Cremificato—A question for all my blue cheese-loving friends: if you could eat blue cheese ice cream, would you? If the answer is yes-of-course-no-duh-where-can-I-get-that, you’ve probably been overlooking the luscious, creamy, just-right sweetness of this spoonable cow’s milk Italian blue. Not to be confused with its more piquant relative Mountain Gorgonzola or less sweet but mighty strong Gorgonzola dolce Artigianale, this is a classic you need to get to know or re-visit. Brebirousse d’Argental—We get a lot of customers in the Bleecker St. store who come in looking for a spreadable cheese they can nosh on with a bit of baguette. It seems that everyone knows about creamy cow’s milk favorites, but there are less who are acquainted with this equally wonderful French sheep cheese. This gooey, complex darling boasts a grassy, tangy meaty flavor as unique as its lovely bright orange rind. This is a great pick for cheese plates when you want a cheese to taste as good as it looks! 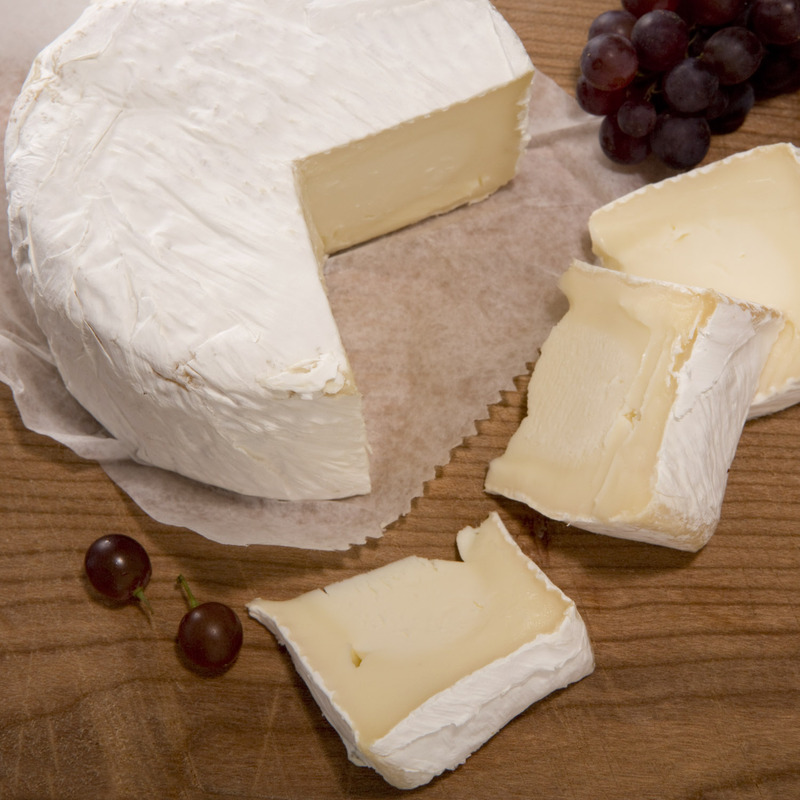 Brunet—Beneath the unassuming white rind on each round of Brunet one discovers an opus of rich, tangy and woodsy flavored perfection—an accomplishment courtesy of the tender-lovin’ care it was given as it aged in Murray’s Caves. The interior cake-like texture even comes with its own icing in the creamline. Two textures+many flavors=one great cheese. Tomme du Bosquet—For the cheese lover who wants a goat that packs a punch without the stinkiness of a washed-rind, here’s your new favorite! This semi-soft raw goat’s milk cheese recalls a strong, earthy pungency reminiscent of a walk through the woods on a cool autumn evening. If that analogy sounds a tad over-the-top romantic, it’s because you haven’t tried this cheese yet! Pawlet—While washed-rind cheeses traditionally come from Western Europe, rich Jersey cow milk makes American-made Pawlet (from Vermont’s Consider Bardwell Farms) a standout in its own right. The bright flavor and creamy texture will appeal to many palates, and the extra aging in Murray’s caves brings a buttery funk to the table you won’t find anywhere else. Sweeten it up: Spread VBC Chevre on baguette and top with some honey for a sweet treat. Crumble on top: Sprinkle Westfield Capri over roasted beets & top with a little coarse salt. 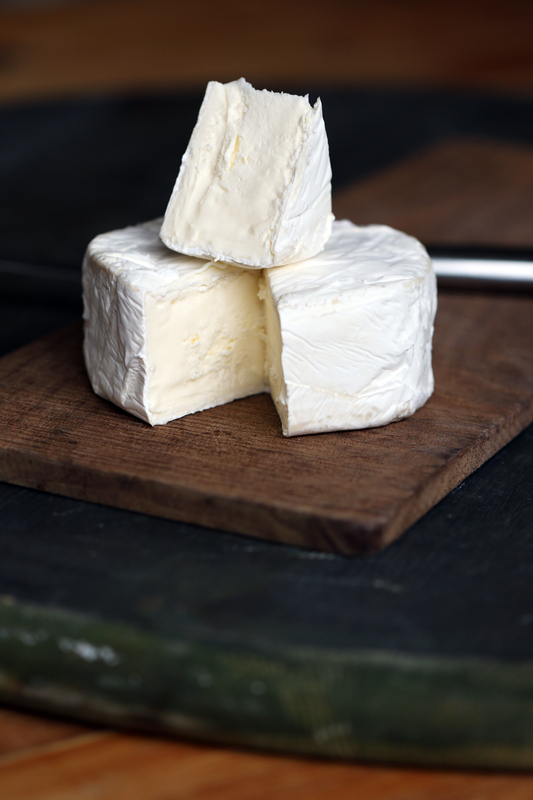 In a quiche: Add a lightly aged goat cheese like Crottin to your next quiche for a touch of earthiness. In an omelet: Try shredded Garrotxa, spinach and some salty Jamon Serrano. Paired with bubbly: Sparkling wine goes great with a French goat cheese like Selles-Sur-Cher or Valencay. With greens: Add flavor to an earthy Kale salad with salty Capra Sarda and some sweet dried cherries. In sauces: Make your favorite pasta primavera recipe and add fresh goat cheese like Petit Billy to the sauce for a creamy texture. Au naturel: There’s a goat cheese for everyone, whether you love fresh flavors, feta, gouda, something peppery, blues, stinky cheese or something unusual. Try them all! As Murray’s Bleecker Street store’s newest cheesemonger, I know that cheese can be a little intimidating…particularly when you’re staring at over 350 in our cheese case! The fact is, the new turophile (that’s cheese lover in laymen’s terms) may be racked with indecision and anxiety when trying to decipher the ins and outs of the wonderful world of fromage. “With so many to taste, how will I know which one is for me?” this person might ask. And then there are inevitable questions like: Which milk types should I try? Will it taste like it smells? Should I eat the rind? FOR THE LOVE OF CHEESE, WHERE DO I EVEN BEGIN?! What’s that? You say you don’t like fresh goat’s milk cheeses? 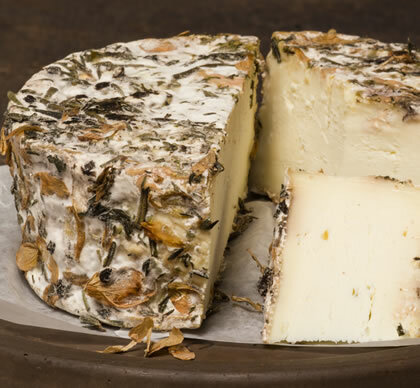 Let me introduce you to the cheese that changes your mind—Westfield Capri from Massachusetts. This little block of goaty goodness is what cream cheese wishes it could be: spreadable and luscious, with a soft texture and mild tangy flavor that melts in your mouth. And—while it tastes great on its own, it pairs perfectly with bagels, fresh fruit, granola or even a brunch-time mimosa. Alright, folks—it’s time to back away from that generic supermarket brie that’s been coddling you. If you want to get familiar with the richest animal’s milk there is, you have to eat a cheese courtesy of the illustrious water buffalo! This animal’s milk sports twice the fat of a cow’s, and Casatica di Bufala shows off its curves with its mild but buttery rich flavor. The thin, white mold on the outside gives this bloomy-rind cheese a tasty creamline that dissolves into a mildly sweet, silky center. The perfect cheese to pair with a baguette and a light sparkling white wine. Sometimes, you just want a great snacking cheese. A little nutty with a touch of caramel sweetness, firm but crumbly Podda Classico tastes great sliced up for a cheese plate or grated for a pasta topper. This cow/sheep hybrid from Sardinia has the sharpness of a cheddar and the sweetness of an aged gouda—so you know it’s gotta be good! The full flavor stands up to fruit and wine pairings but won’t overpower them—in short, this is a cheese the whole family will love. Sure, the Europeans know how to make delicious cheese. But did you know there’s some incredibly tasty treats coming out of American dairies? This award-winner from Wisconsin plays like a subtler, smoother version of the alpine style Gruyere. Raw cow’s milk provides a foundation for a firm, fruity, grassy palate-pleaser. Goes great with lager or red wine. I like mine with apple slices. Ah… infamous blue cheese. I see the fear as your eyes wander to the section of the case to the inhabitants dotted with blue mold. But what if I told you there was a blue that you—yes, YOU—might even like? Meet my friend, the Bavarian Chiriboga Blue. This charmer is the perfect gentleman—smooth, sweet, mellow and bright. And—bonus!—unlike some of his friends, he’s not stinky! Give him a chance and you may realize you’ve found your surprise soul mate. –Lauren McDowell is the newest monger on the counter at Murray’s Cheese. She’s tasting her way to expertise, one cheese at a time! *Westfield Capri is not currently available online but is sold in our NYC stores.